We’d love your help. 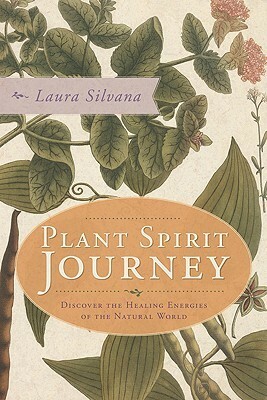 Let us know what’s wrong with this preview of Plant Spirit Journey by Laura Silvana. Explore the mystical realm of the plant kingdom, and discover a hidden source of power and healing. Born with the ability to see and hear spirits, intuitive Laura Silvana's mediumship abilities extend into the world of nature. Her fascinating true story includes knowledge gained from a spirit shaman who taught her how to work with the beneficial energies of plants. Silvana t Explore the mystical realm of the plant kingdom, and discover a hidden source of power and healing. Silvana tunes in to individual flowers and herbs and lets the spirits of the plants speak for themselves. For example, dandelions possess a whimsical vibration to help counteract despair. Lilacs offer contentment and stability during times of transition. Red clover is a powerful healer that inspires courage, will, and determination. To ask other readers questions about Plant Spirit Journey, please sign up. This was one of those books that came to me at just the right time. Iv been interested in working with plant spirits and devas but didnt feel I was ready to attempt it my self. The author has a gentle writing style. She takes you though her experiences, her self-healing and how she has assisted other. The last section on some of the plants themselves was most helpful. I used this as a reference when I needed to do some self-healing and need to call upon the Spirit realm for assistance. I borrowe This was one of those books that came to me at just the right time. Iv been interested in working with plant spirits and devas but didnt feel I was ready to attempt it my self. The author has a gentle writing style. She takes you though her experiences, her self-healing and how she has assisted other. The last section on some of the plants themselves was most helpful. I used this as a reference when I needed to do some self-healing and need to call upon the Spirit realm for assistance. Taught me a lot about the plant world and I definitely look at plants different now.